Janice Elaine Sews: One of these things is not like the other! In other words, I wasn't paying attention! Bob suggested I take break, and I agree. Well, I started a new quilt today. I should have 3 completed blocks, instead I have two, and one that may journey to the back of the quilt. 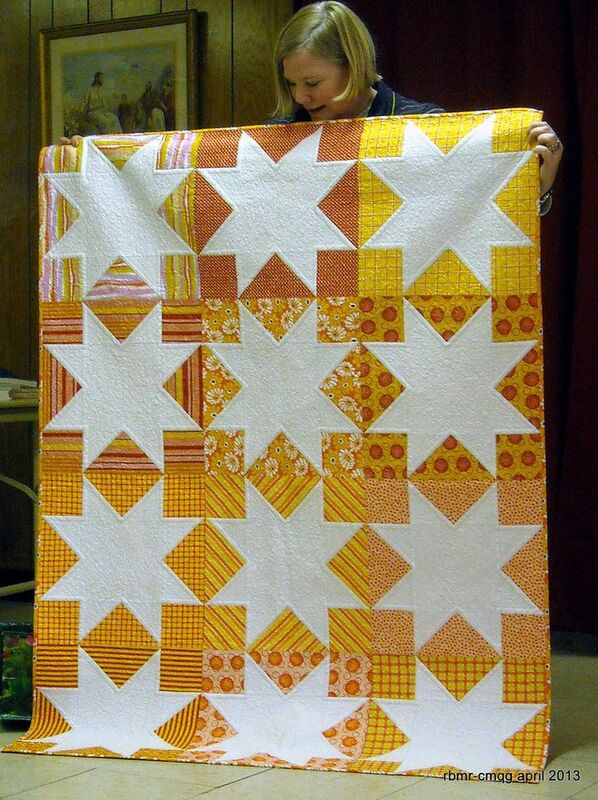 This quilt is my inspiration, of course mine will not be perfection, like this one. I saw it on The Chicago Modern Quilt Guild blog. I've done that but didn't notice until I had pieced the top, no fun. Haha, you sew like I do. Unfortunately, I usually don't notice the error until it's too late. Aw, that's frustrating, but look, you came up with a new block style!! And using it on the back of the quilt is a great save! There you are, carefully pinning and stichin', matinign those seams, and you turn it over ...argh!! I do know that feeling!